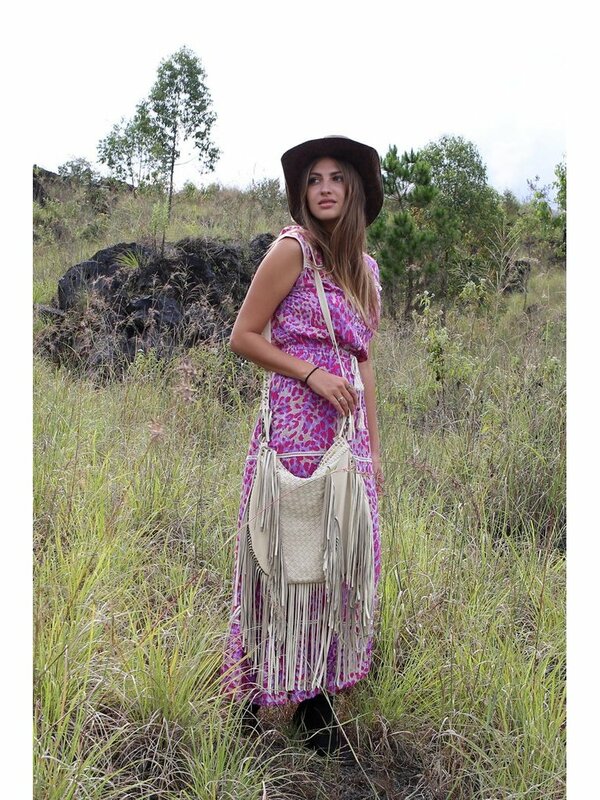 The Hunter Tassel Bag, available in 3 gorgeous colours, is one of our favourite new designs. This bucket shaped bag has been handmade with lots of love and attention to detail and is packed with everything you need to take wherever you go. Roomy and inviting for all of your needs, the Hunter Tassel Bag has three internal pockets, one with a zipper and two without. It easily fits your wallet, a water bottle and some makeup. 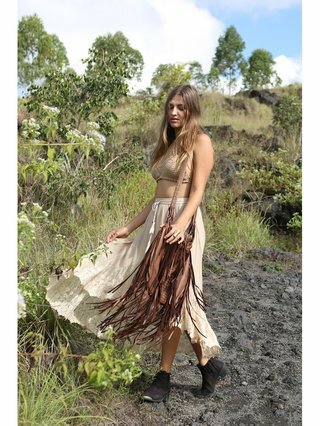 The Hunter Tassel Bag is made from the softest sheep leather with beautiful layered tassels. The comfortable length strap dotted with stylish brass studs makes you want to take this bag everywhere you go. One Size 110cm / 43.3" 32cm / 12.6" 30cm / 11.8"